Once again, it is time for our weekly news round-up – a post where we put the most interesting stories from the past week for anyone who needs to catch up. One of them is the leaked bunch of photos which allegedly depict a long-rumored Microsoft smartphone codenamed McLaren. Tons of images exposed the phone from all angles and even compared it to the iPhone 6. In other news, rumor has it that Samsung is working on an upgraded variant of its Galaxy Note 4 phablet. The yet-unannounced model is believed to pack a Snapdragon 810 SoC instead of a Snapdragon 805. In the meantime, Chinese company Vivo officially announced the Vivo X5 Max, which is the new slimmest smartphone in the world. Amazingly, the device measures just 0.15in (3.98mm) at its thinnest point and 0.18in (4.75mm) at its chubbiest. Flip through the slideshow below for more interesting news from the past week. This is believed to be either a cancelled Lumia model, or the next Windows Phone 8.1 flagship in prototype form. It could also end up being labeled as the successor to the Lumia 1020, with a powerful camera and tons of photo-centric features. Hardware-wise, the phone should be among the most powerful Windows Phone 8.1 model ever released. If it ever sees the light of day, that is. There's a good chance that the phone in the picture has already been cancelled. This is a benchmark result for a Samsung smartphone model SM-N916S. Since the Galaxy Note 4 we know has a model name SM-N910, the mysterious device in the Geekbench database could be an upgraded Galaxy Note 4 model. An octa-core Snapdragon 810 SoC powers the device, according to the data provided. 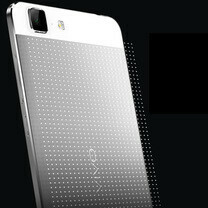 And this is the Vivo X5 Max, which is the new slimmest smartphone in the world. In addition to being extremely thin, it is also a pretty decent Android phone, with a 5.5-inch 1080p Super-AMOLED screen and a Qualcomm Snapdragon 615 SoC. 2GB of RAM, 16GB of expandable storage, and a 13MP camera have also been tucked inside its slim body... somehow. Polish website Teleguru today posted several photos of the alleged Xperia E4, revealing a handset with a design that seems a bit unusual for Sony. The new Xperia has pretty thin bezels (unlike the E3), and rounded corners. Even so, it’s likely larger than the E3, as it sports a 5-inch display with 540 x 960 pixels instead of the 4.5-inch, 480 x 854 pixels panel of the older smartphone. The Nokia Microsoft Lumia 435 will feature a 4-inch screen with a resolution of 480 x 800. Those specs match exactly with the display on the low-end Nokia Lumia 520, the best selling Windows Phone model of all time. The pixel density works out to 235ppi. A Snapdragon 200 CPU will be driving the phone. Claimed front panel of the supposed One (M9) has popped up, and if this leak holds water, it means that the upcoming flagship from HTC will have a pretty good screen-to-phone-size ratio. This panel is said to be intended for a 5.2-inch display. Rejoice, Android users, as HERE has just found its way to Google Play, where it's available for free. "What is HERE? ", you might ask. Well, it's the famed mapping service that is still under Nokia's wing, which provides its users with completely offline navigation, has a wide array of available maps, up-to-date info for public transportation, as well as turn-by-turn voice guidance - all of this free of charge. The Galaxy Alpha’s metal build and sleek profile are far from its only key selling point. It also happens to be the first smartphone to use a display protected by Gorilla Glass 4. The same kind of glass technology is used in the Galaxy Note 4. Check out the video and see what kind of torture the material is made to withstand. You should say the "cancelled" McLaren , its cancelled guys ! Folk if you are alert there are 2 new Microsoft Lumia labled smart phones coming on the market and more are coming. most of the current Nokia Lumia labled smart phones will at least get new cases labled with the new Microsoft Windows phone Logo on back of them. all the new microsoft labled smart phones should be upgradable to Windows 10 and will be able to use the "NEW UNIVERSAL APPs". Nokia Lumia Windows smart phones are no more. if you are collector of tech devices better collect a Nokia 520, 920, 1020 and the nokia lumia 1520 to put in your collectors viewing case. BABY it's all Microsoft lumia smart phones from now on. That actress shouldn't be an actress! and corning, you lie every year! The S2 was the best phone to drop without breaking it but that coz of the design of that phone and the size of the screen. Try any corning glass with the size screen of the note series and you get totally different results. If that glass there testing in this video isn't the size of the note range then its a pointless test. i dont think that samsung is gonna release anew variant of note 4 cuz if they did ppl who bought the SD 805 and exynos variants specially SD805 won't let it go cuz they wont keep the value of these version it would be stupid from samsung to lose its consumers and noone is gonna buy their phones again when they are just released.